Your website Page speed is extremely important. If a website loads up slowly wouldn’t you leave? I certainly don’t want to feel like I’m still living in the dial-up dark ages. Slow sites means unhappy visitors and they will tend to move on and skip your website. If your page loads fast, you will have plenty of page views and visitors will tend to stay longer on your site. So I used the Firefox Firebug Page Speed tool and suprisingly I got only 72/100. Google displays a report of issues with your website and possible fixes to help you improve your page speed. ME, I have no clue about this coding stuff. It was telling me to compress js files, change expiry date of files, cache some files and to reduce size of image files. I knew how to reduce the size of image files, but the others I had no clue how to do. So that natural thing for me to do was to search for Wordpress plugins that would help me with my page speed. Each website is different and you need to investigate why your site is slow. But here are 3 Wordpress plugins that I installed and drastically imporoved my page speed in minutes. My page speed increased from 72 to 90/100. WP Minify – This plugin uses the Minify engine to combine and compress JS and CSS files to improve page load time. WP HTTP Compression – This plugin allows you Wordpress blog to output pages compressed in gzip format if a browser supports compression. HTTP compression generally means a 60-80% reduction in the size of your pages as well as an increase in download speeds of 3x to 4x. WP Super Cache – Static caching plugin for WordPress. It generates html files that are served directly by Apache without processing comparatively heavy PHP scripts. 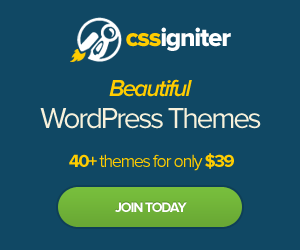 All these plugins are free and can be found in the WordPress.org plugin directory. Feel free to leave a comment on WordPress plugins that helped you increase your page speed. Deactivate WordPress Plugin – My Google Adsense Ads Went Missing! Thank you Elaine. When I was using the Firebug Page Speed tool, I have no idea what it means too; quite challenging tool to use. I have also tried WP Super Cache but it sort of prevented my page from uploading properly. I added a new link to the page and the new link did not show up when I refreshed the paper. Thus in the end I removed it totally. Do you face the same issue? Will try out the WP minify and WP HTTP compression. Thank you once again for the information.